DEPTH OF MARKET: Whether you represent a small boutique establishment, a large chain, or something between those two, our uniform consultants will be happy to meet with you and help you develop a program that reflects your needs and dreams. 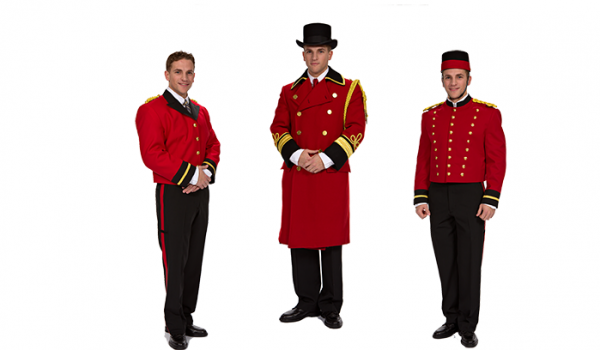 Front desk, valets, door people, housekeepers, and security, to mention just a few, need to wear comfortable, attractive and functional uniforms that present the hotel in a coordinated, attractive manner. RANGE OF SERVICE: As with all hospitality properties, hotels are made up of public and non-public areas; they all demand attention and need to be coordinated with a branded look. 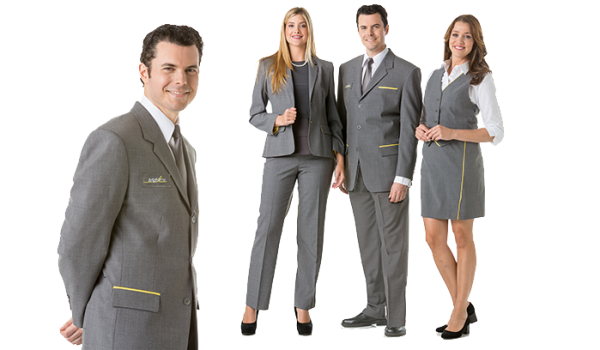 THE WHOLE PACKAGE: Your vision, your decor, your budget and input from management and staff are all considered as we together design a uniform program for you.